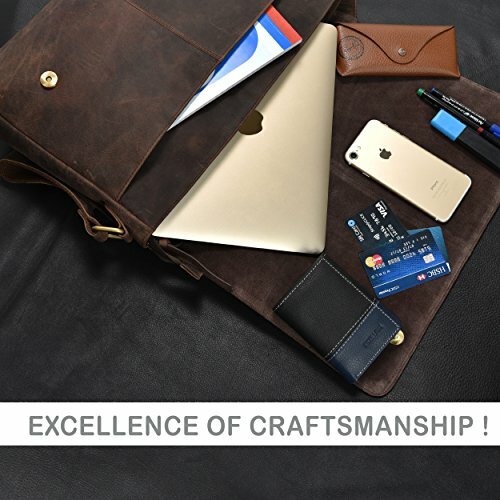 PREMIUM MATERIAL CONSTRUCTION – Superior cowhide leather masterfully sewed with durable and strong lining to ensure long lasting durability (leather surface have disorderly wrinkles, scars, scratches that present the style of retro and wildness). 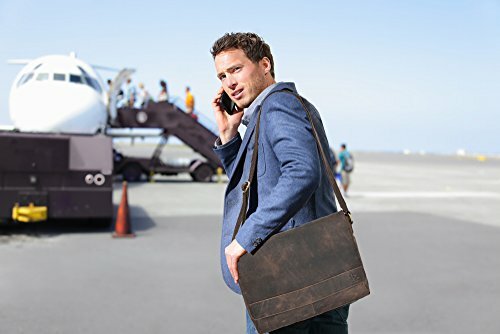 PRODUCT UPGRADE – Compared with other briefcases, this updated briefcase’s inner foam paddings and bottom foam paddings protect notebook computers by absorbing impacts that can be inflicted in daily life. 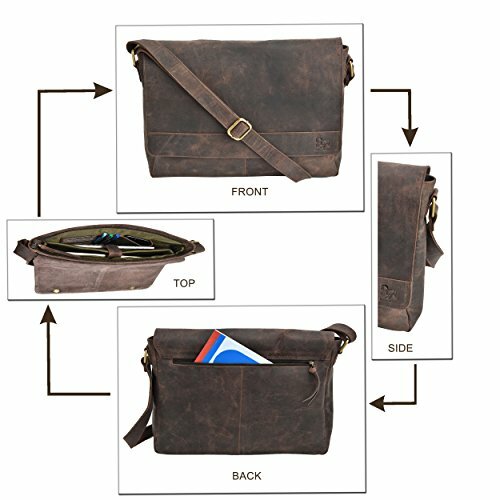 Carrying handle made of the same cowhide and fixed by high quality hardware, which brings comfortable feeling and makes the bag durable. 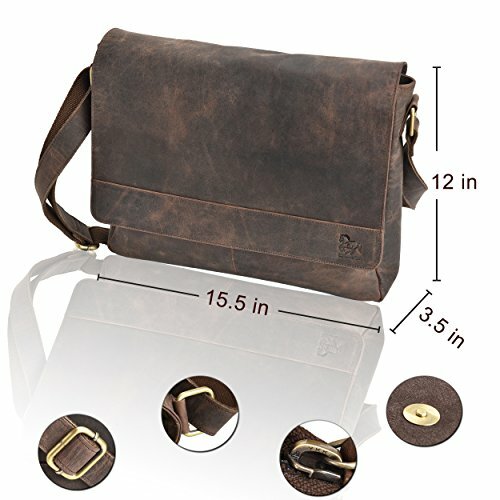 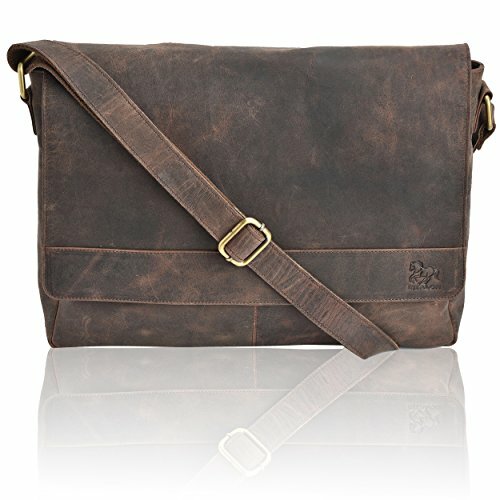 EASY TO CARRY – Estalon 14-inch Laptop Messenger Bag’s padded main compartment is designed to house 14-inch laptop computers of most brand, yet It also fits the more common 14-inch laptops like a glove. 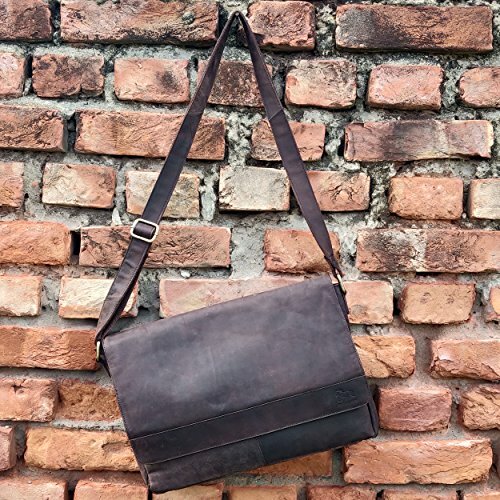 The leather is tailored from the different buffaloes so there would be a little different displaying in colors.Some part may be deeper in colors but other parts may be lighter in colors.All of them would not affect its beauty and function. 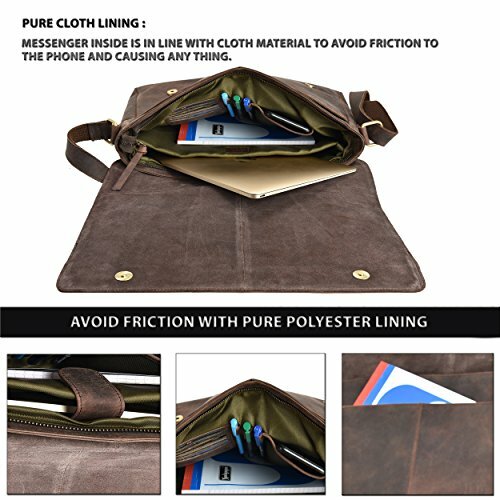 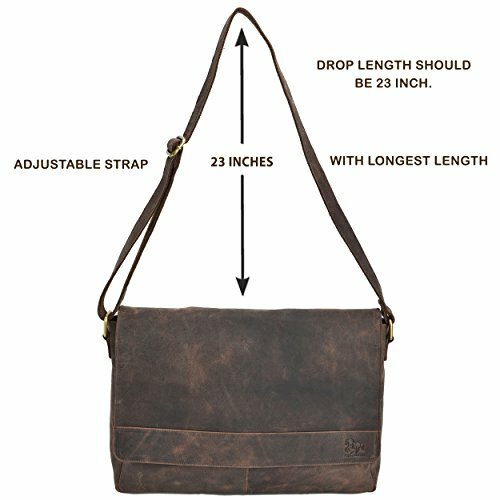 VARIOUS POCKETS – Excluding the main storage compartment, featured on the messenger bag are 2 larger Front pockets for easy access of frequently handled items, 1 zipper pocket for significant articles such as wallets and identification documents, and 2 Inner wall pockets + Credit card (RFID BLOCKING) and Pen holder to store cellphones, chargers, earbuds, and glasses.